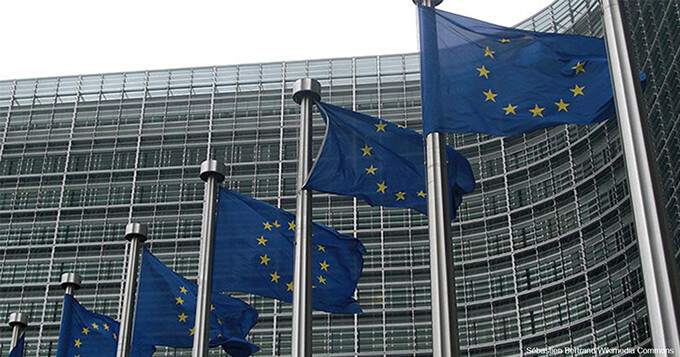 The UK’s exit from the European Union is likely to have a significant impact on UK science. Last week the Science Council hosted a Summit to identify the risks and opportunities to professional bodies posed by Brexit. The Summit was attended by 40 organisations representing higher education, the charitable sector, learned societies and professional bodies in science. It provided attendees with the opportunity to hear from a range of experts about the current knowns and unknowns of the process of Brexit, and how professional bodies can best influence the negotiations. The expert panel included Alastair Henderson, Chief Executive, Academy of Medical Royal Colleges; Oliver Ilott, from the Institute for Government; Linda McAvan, Labour MEP for Yorkshire and the Humber; and Philip Trott, Partner and Head of Immigration at Bates Wells Braithwaite. Alastair Henderson outlined the Academy’s priorities, which were focused around the potential risks to public health. Central to this was the recruitment and retention of EU staff. With EU-nationals comprising 10% of the NHS workforce, the uncertainty of their status in the UK, and potential restrictions on the free movement of talent has raised concerns about the sustainability of the health service. Oliver Ilott provided some observations about the mechanics of Brexit. One of the key issues he highlighted was the uncertainty around the role of Parliament and the relationship between the key departments involved in Brexit negotiations (the departments for Exiting the European Union, International Trade, the Foreign Office and Number 10). Linda McAvan gave her perspective as an MEP. She highlighted the Professional Qualifications Directive, the Erasmus programme and research mobility as important pillars that the UK should fight to retain. Philip Trott explained what a future immigration policy may look like. He suggested that the Work Permit scheme, which though providing employers the flexibility they required, was discontinued in 2008, might be a useful alternative to a points-based system. Some common themes emerged from the panel discussion about how professional bodies could influence the Brexit negotiations over the coming months. These included gathering the necessary evidence for the Civil Service that highlights potential adverse outcomes for UK science; working with partner organisations across Europe and identify mutually beneficial priorities; and engage with MPs across all parties to ensure that the health of UK science is a key consideration throughout the negotiations. The Science Council will be writing a report based on discussions that took place throughout the Summit. Working with our member organisations, we will agree some key priorities for the science profession in order to influence the Brexit negotiations.